Lisbon looks spectacular – whether approached by sea from a cruise ship, or by air as the plane dips over the red roofs, hills, and mouth of the Tagus River – and visitors to the Portuguese capital are sure to fall in love with this charismatic city. Begin exploring Lisbon’s numerous attractions with a visit to the fabulous Castelo Sao Jorge, which has one of the best views in the city. It has a beautiful terrace, a very interesting museum and is a great place to experience the sunset. Lisbon is a very hilly city and has many cobbled streets, so make sure you take a good pair of shoes and be prepared for some walking. The city is full of bars, cafes and places to eat, and you should find it extremely sociable. Many of the buildings have a faded elegance about them. The transport system is cheap, as are taxis. 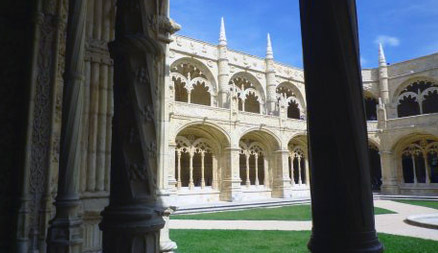 Take the train or the number 15 tram to Belem and the spectacular Jerónimos Monastery. Try to visit early in the morning or late afternoon when it is quieter. While there, walk along to the Torre de Belem, a defensive tower built in the lavish Portuguese Manueline style. Built in the 16th century, it has many Moorish features. Lisbon’s cathedral is also a highlight of the city and looks best just before the sun goes down. Popular with American and French visitors, the prestigious Lapa Palace Hotel can be found in the embassy district. A quality establishment, it has been host to royalty and President George Bush. It has impressive rooms and views across the city. The service is impeccable, and though the prices are high, the service is second to none. The city also has a large number of more central hotels including a range of boutique establishments such as the Olissippo Castelo located just below the castle or York House, which was once a 17th-century convent. Stylish and slightly quirky, it was often visited by author Graham Greene. Slightly away from the main downtown facilities is the Casa de Sao Mamede, which has hints of old Lisbon. Basic rooms can be found in the Ninho das Aguias with its fascinating spiral staircase and simple decor. 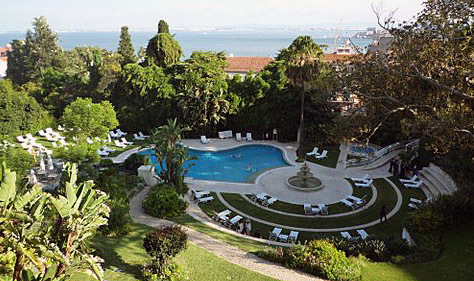 There are also plenty of hotels in delightful Estoril and Cascais, half an hour by train from the city along the coast. Portuguese food is very substantial but if it looks too much for you, ask for a half portion. For instance, the popular Portuguese rice dish Arroz de Marisco (which is similar to a paella but stickier) is often cooked once a week and presented in huge portions. Fish is also popular, as are a number of deep-fried dishes and sweet desserts. Meal prices are often lower than elsewhere in Europe. There are also a number of excellent buffet-style restaurants including the Buffet do Leao near the main railway station where you can eat all you want for one set price. This is a great venue for lunch, with a half a carafe of red or white wine costing just over 3 euros. Breakfasts can be quite simple, but look out for the delicious cakes and buns. Lunch is taken fairly early and consists of several courses. Steaks and cutlets in sauce are also on the menu. Sardines, however, should only be eaten when in season, otherwise you could be tucking into fish that has been frozen. 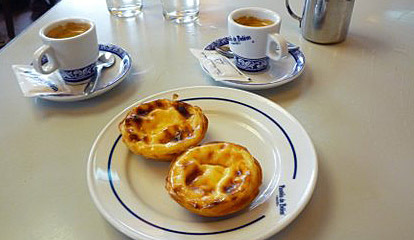 Another Lisbon treat is the pasteis de nata, small egg custard tarts that everyone seems to have when they order a coffee. It is said that the best tarts come from a shop in Belem, the Antiga Confeitaria, where you can sit in ancient surroundings feasting on crisp pastry and creamy egg filling. But the city has many fine shaded squares and parks where you can just sit, relax and enjoy a cup of coffee. The local draught beer is flavorful, and white Vino Verde wine is very popular. Prices are cheap by both U.S. and U.K. standards. 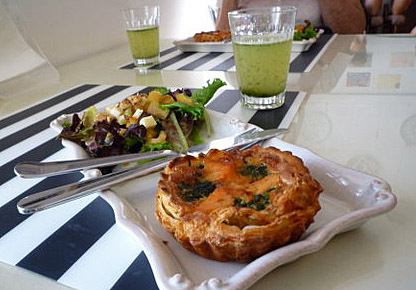 Try La Boulangerie in the embassy district. Here you can buy fresh rolls, salads and tasty desserts. If you are walking along the promenade between Cascais and Estoril, drop in to Jonas Bar for a drink with its wonderful views and tasty snacks. There are plenty of bars in the city, which can get very busy in the summer. The most stylish nightclub, the “in” place to go at the moment, is Lux. It has a downstairs dance floor and upstairs bar. If you are around Belem then make for the BBC, Belem Bar Café, which is riverside and great for clubbing. If you are intending to hear Fado (traditional Portuguese music) then you need to arrive at certain bars at around 11 p.m. Some of the best are in the Alfama district and include Tasca do Chico and Bela Vinhos e Petiscos. You should be prepared to stay until at least 2 a.m. or in some cases hours later! To be on the safe side, buy an official taxi voucher from the airport to the city. It costs a little more but it saves queuing and any hassle. Fares back from the city are around 12-15 euros. 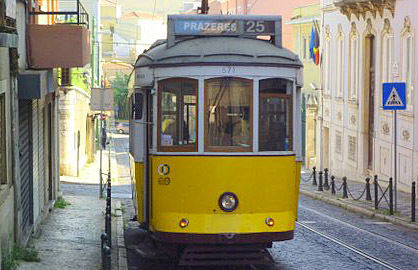 Lisbon is well served by trains, trams, buses and the metro. Day tickets are around 6 euros, and the system is quite easy to use once you have a plastic card. However, the trams are notorious for pickpockets, so be careful! There are ferries across the river and some old funicular railways together with a very unusual lift designed by an apprentice of Gustave Eiffel who was involved in the construction of the Eiffel Tower. 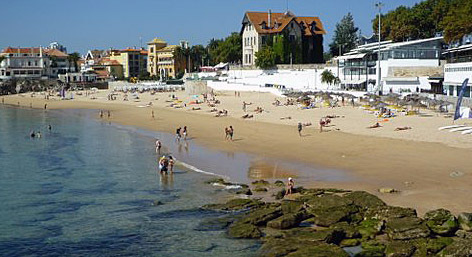 Suburban trains run regularly along the river to Estoril and attractive Cascais. Flights from the U.S. can go through Paris or London. Lisbon is also accessible from several U.K. regional airports with easyJet. How To Get There: Lisbon Portela Airport (LIS) is located in the city itself, and is serviced by approximately 40 domestic and international airlines, including Aer Lingus, Lufthansa and United Airlines. Getting to the city center by car/taxi will take approximately15 to 20 minutes. Travelers also have the option to use the subway (1.40€ each-way), bus (1.40€-1.80€ each-way), airport shuttle (3.50€) and local trains. Information regarding area transportation is available here.